Frankie Ferrer was born in 1938 into a family of poor farmers on a sugar cane plantation on the Philippine Island of Negros. As a young boy, he worked in the sugar cane fields. 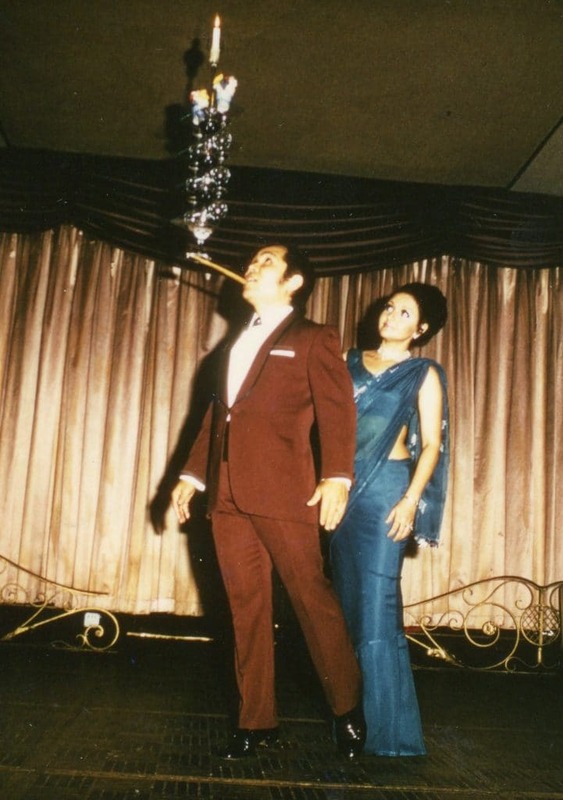 At the age of 14, he ran away from home and eventually joined up with a circus, doing whatever needed to be done to earn his keep. Frankie watched the performers and started to practice with them. 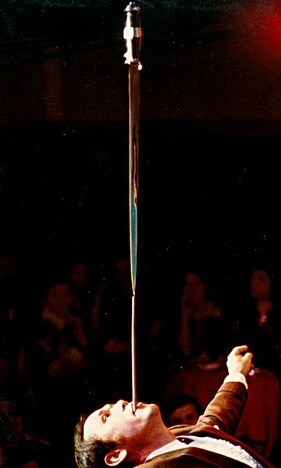 Before long, he learned tight rope walking, juggling and trick cycling. 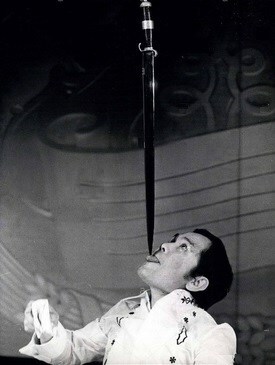 One performer that Frankie saw was a Chinese balancing artist. 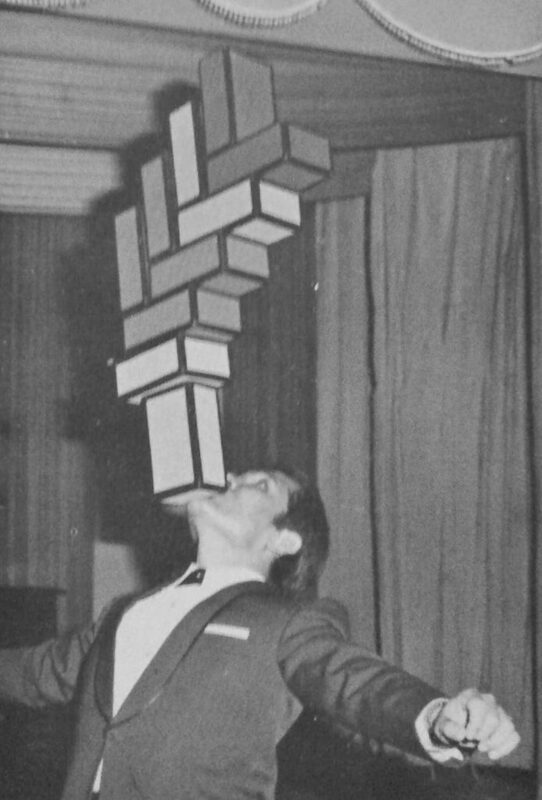 Frankie decided to put together an act full of epic balancing stunts. 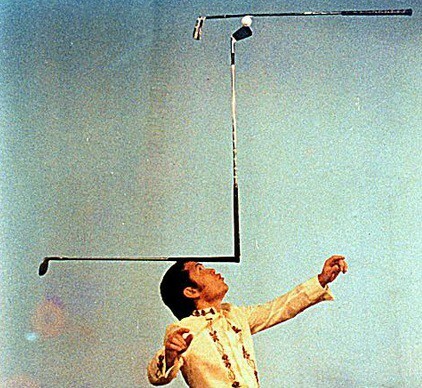 One of these tricks was the classic golf club trick, which was invented by Joe Marsh in 1930. 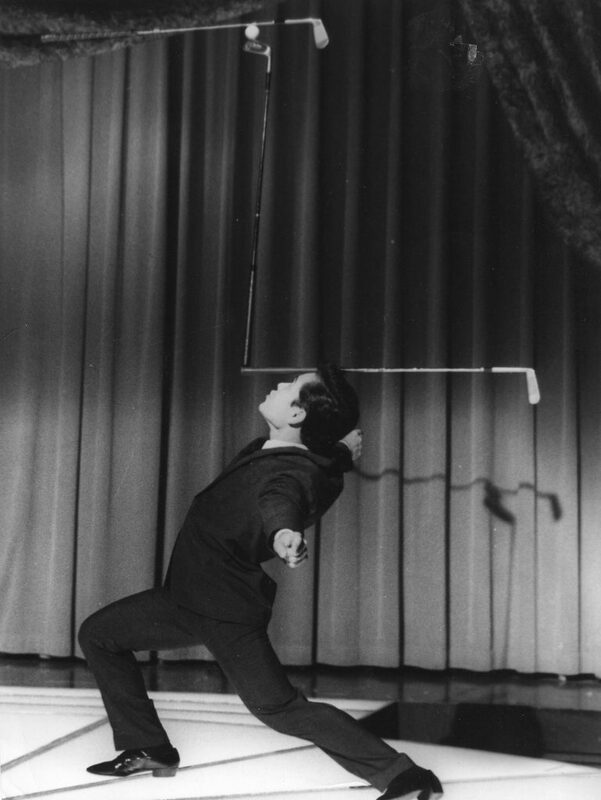 Frankie’s most famous routine featured his wine glasses on mouth stick work. 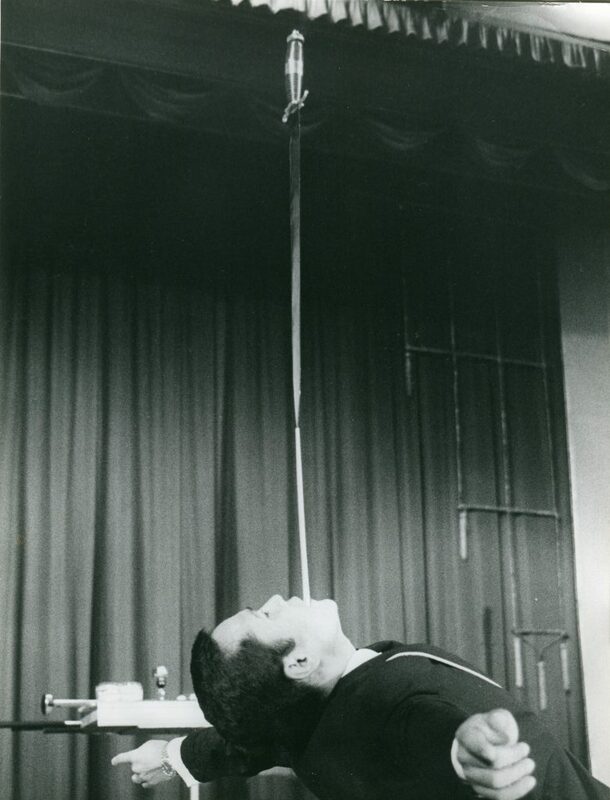 Frankie often included a couple of sword balancing tricks in his act, which you can see below. 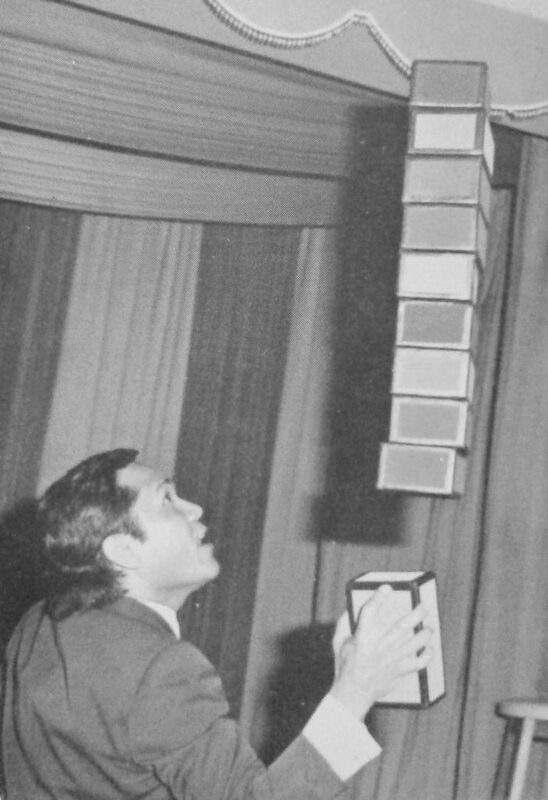 Finally, Frankie Ferrer would do several cigar box routines if a longer act was needed. 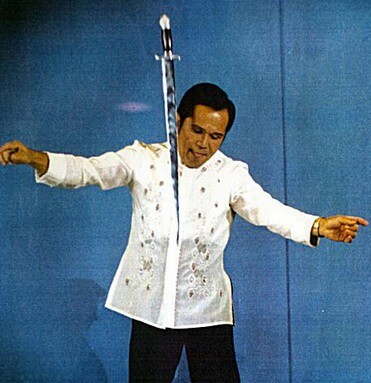 After much practice, he started performing the act in the late 1950s and found immediate success. 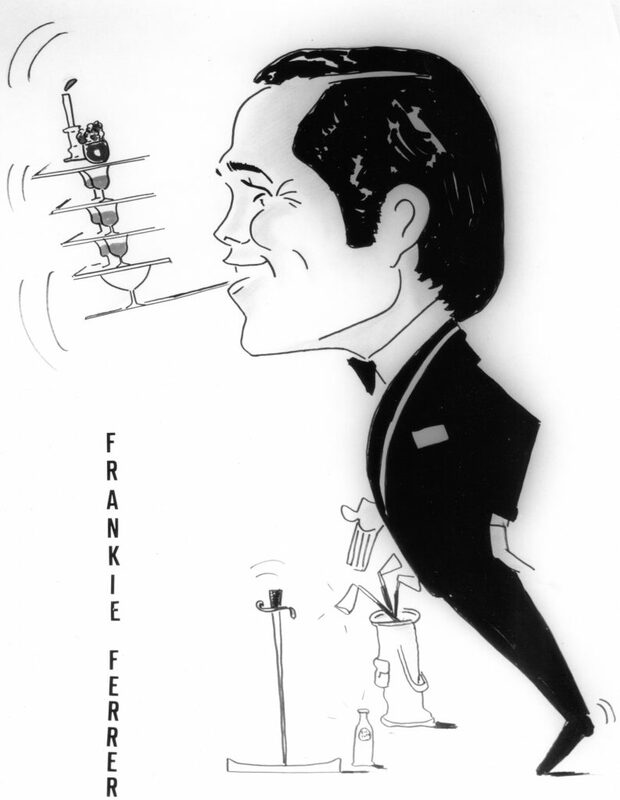 After many engagements in Asia, Frankie started to tour the world with his act. His travels took him North America, Europe, and Africa. 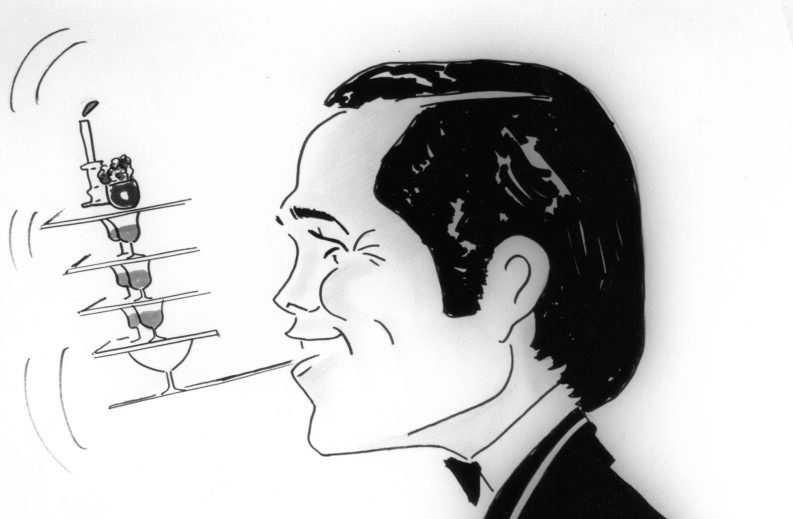 He married his wife Rosemarie in 1960 and she became his assistant. The couple settled in Switzerland, where Frankie could perform at ski resorts between touring engagements. Frankie retired in 1999, when he passed his act on to Nicky Viva. Frankie now lives back on the Philippine island of Negros. 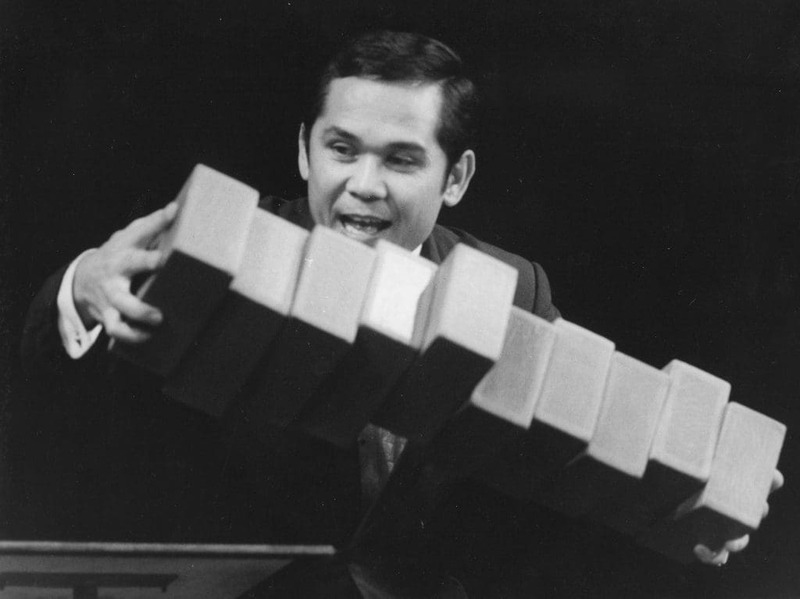 Below you can see four videos of Frankie Ferrer performing his act.